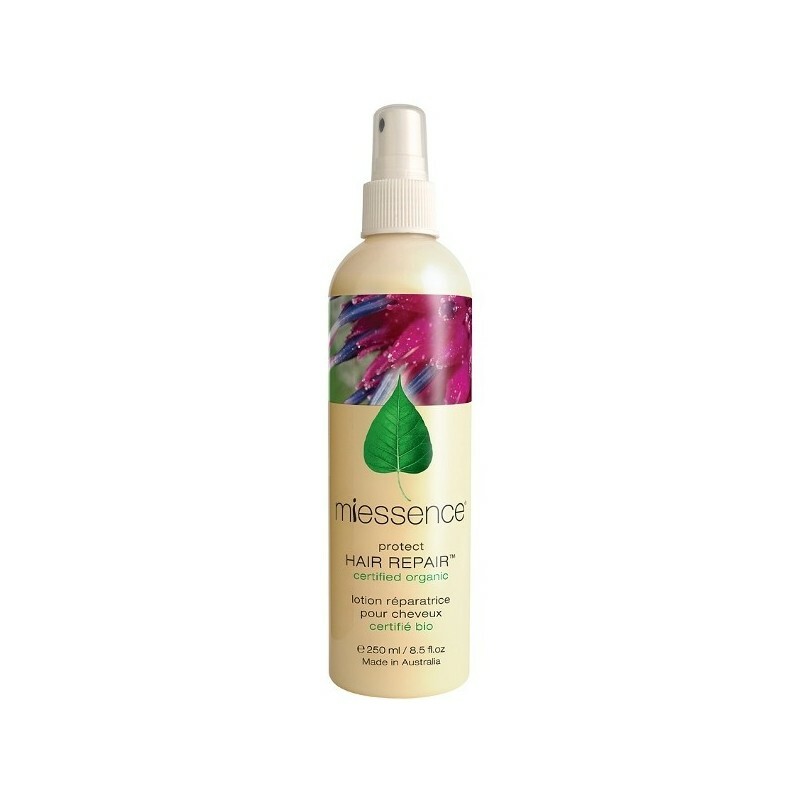 A Certified Organic hair repair spray for all hair types. Lactic acid, Rosehip seed oil and herbs provide long lasting moisturisation, soften brittle ends, detangle and rebuild strength and body. 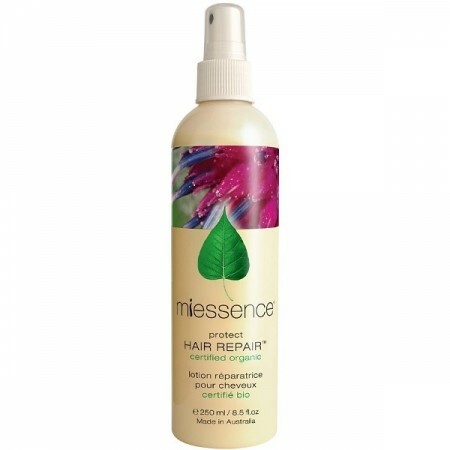 Use on wet or dry hair, great for protecting hair from heat damage and helps prevents breakage. 250ml. Buying this product = 38 Reward points for Members. Your cart will total 38 points = voucher of $1.90. Not a Member? Join at checkout to claim these points. Helps rebuild the strength and body of hair. Helps protect from heat damage. Certified Organic Aloe Barbadensis (Aloe Vera) Leaf Juice, Certified Organic Rosa Rubiginosa (Rosehip) Seed Oil, Sambus Nigra (Elderberry) Fruit Extract, Sclerotium Rolfsii Gum, Certified Organic Equisetum Arvense (Horsetail) Extract, Certified Organic Urtica Dioica (Nettle) Extract, Certified Organic Arctium Lappa (Burdock) Extract, Certified Organic Rosmarinus Officinalis (Rosemary) Extract, Certified Organic Salvia Officinalis (Sage) Extract, Certified Organic Citrus Dulcis (Sweet Orange) Essential Oil, Certified Organic Pelargonium Graveolens (Geranium) Essential Oil, Daucus Carota (Carrot) CO2 Extract, Certified Organic Santalum Spicata (Sandalwood) Essential Oil. Geraniol, Citronellol, Limonene and Linalool are naturally occuring components of the organic essential oils in this product. 250ml (8.5fl. oz). 20cm x 5cm. Browse our other hair care products.